All on-site wastewater systems are based on an initial soils evaluation. Based on the results of the soils evaluation, the type of wastewater system needed for the site can be determined. In many instances, a septic system permitted through the local county health department able to be obtained. Septic systems permitted by the county require three separate permits; an Improvement Permit, an Authorization to Construct and an Operations Permit. The Improvement Permit is based on the results of the soils evaluation, the Authorization to Construct is based on the wastewater system design and the Operations Permit is issued after the system is installed. Septic systems that typically receive county permits include conventional systems, pressure manifold systems, Low Pressure Pipe systems, aerobic and anaerobic drip systems and TS-I and TS-II pretreatment systems. If a site’s soils do not allow for a county based permit to be issued, in some instances a permit issued by the NC Division of Water Resources may be possible. These systems include non-discharge surface spray, drip and reclaimed water systems. 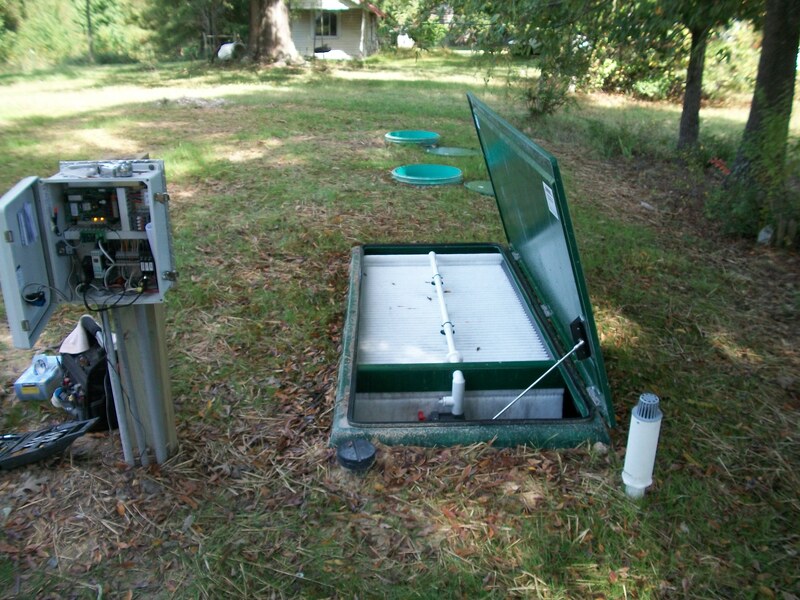 AWT has also assisted many homeowners with new wastewater system when their previous system failed. Under certain conditions, AWT has been able to obtain a permit for a NPDES direct discharge system. These permits are typically only issued in repair situations when there is no other option available to repair the existing on-site system. AWT can assist with permitting of any type or size of wastewater system, whether the facility served by the system is a single family residence, commercial facility, church, school, etc. AWT has decades of combined experience working with local, county, and state regulatory agencies to obtain permits for wastewater systems. Or, if you’ve been turned down for a permit by the county or state, then contact AWT for assistance on possible alternative systems. AWT assists with the operation and maintenance of existing wastewater systems, currently operating over 120 systems in central North Carolina. AWT holds the necessary NC certifications to meet regulatory requirements for operations and maintenance of wastewater systems and communicates routinely with system owners and the regulatory community in order to keep the systems compliant. Adding a bedroom to your home or expanding your business, church, school, etc., AWT can assist with the wastewater system modifications that will be required with your expansion. Additionally, building a pool, garage, shop, outbuilding, etc., that impacts your existing wastewater system? AWT can assist will the necessary wastewater system modifications. Comprehensive septic inspections can be performed on any system, and are most commonly performed at residences. AWT’s septic inspections include a thorough evaluation of the current condition of your system, along with a complete inspection report. AWT performs inspections for routine maintenance and point-of-sale (real estate) transactions.